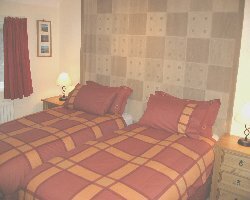 Tudor Lodge, 4 star hotel quality guest house, bed and breakfast is located in Porthmadog a small Welsh harbour town. Porthmadog and very close to the famous Italianate village Portmeirion, Black Rock Sands, Snowdonia mountains and the Ffestiniog Railway. 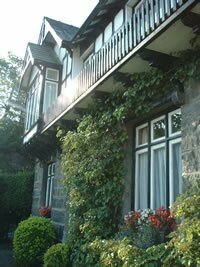 Tudor Lodge is a superb hotel quality guest house/ bed and breakfast with the attractive building set in its own mature gardens just off the high street on the Criccieth road. Following an extensive refurbishment programme Tudor Lodge now offers a range of high quality single, twin, double and family en-suite rooms at very affordable prices. Our continental style buffet breakfast is complimentary and will set you up for the day to explore the beautiful Snowdonia region. All bedrooms are designed and furnished to give you maximum comfort during your stay. Modern en-suite bathrooms with hot showers, comfortable beds with warm duvets and bounce-back pillows, all dressed in tasteful colour-coordinated linen ensure that you will have a good night's sleep. Hospitality trays with tea, coffee and biscuits, hairdryers and 21'' TVs featuring 8 popular channels are located in every bedroom. All rooms have either a high back chair or one or two full size pull-out sofa bed chairs. Help yourself to our complimentary continental style buffet breakfast which is available daily between 07.30 and 09.30. Why not start your day with a tasty warm croissant and a coffee followed by some fruit and a yogurt? Or if you prefer tea, orange juice, toast and cereals, there is plenty to choose from for everybody.